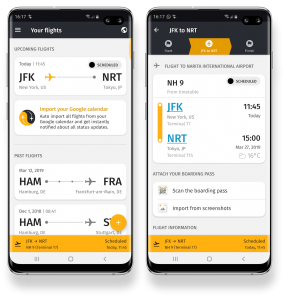 Flight tracking: our flight tracking system allows you to track your flights in real-time to be able to manage your time more efficiently and to keep all your travel details in one place. This way, you can maximize your time before the flight to prepare for the business trip. 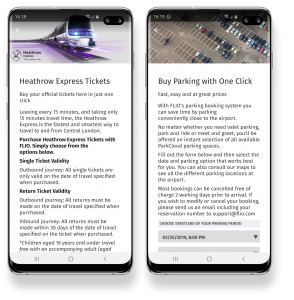 Transportation: conveniently pre-book airport parking or transportation from a vast selection of options to avoid last-minute stress before your trip and to make sure you reach your final destination on time. Airport guide: have a business meeting abroad? 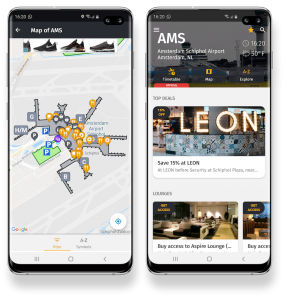 Our helpful airport guides and interactive maps have everything you need to know about more than 5,000 airports worldwide and ensure that you don’t have to puzzle your way through busy terminals or foreign airports. 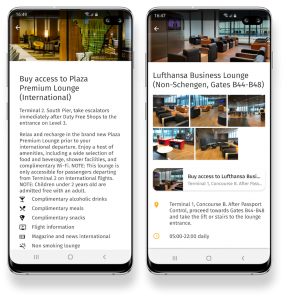 Lounges: easily book over 400 lounges with one-click and forget about the chaotic environment of airports while you prepare for a presentation or make use of their meeting rooms for a quiet space to work and relax. 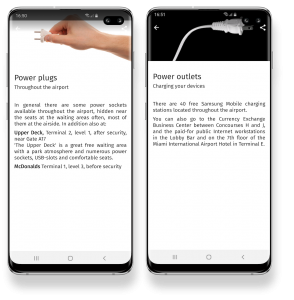 Power outlets: we show you where the nearest power outlets are so that you can keep your electronics gadgets charged and ready to go. So, leave the stress in the office and download FLIO from Google Play or from the App Store to make the most of your future work-related trips.